Whether it is the declaration of man and wife, or the powerful religious implications of the saat phere, it is clear that chanting a Mantra for marriage in the early stages your relationship or marriage can have huge positive effects and influences on one’s marital life. According to Hindu mythology, marriage is not just the union of two individuals, but it is the collective unification of two diverse souls. When both the husband and wife unify to chant these mantras together, they will become spiritually closer and their energies will unify themselves into one being, creating a stronger bond between the couple. during the early stages of your marriage can help you to create these special qualities between a husband and wife, and banish any negative energy surrounding your marriage. The entire Mantra is based on mutual attraction and lighting up the special fervor of true love between souls. Nandagopasutta devi panti mein kurute namoha”. This mantra needs to be chanted eleven times, for at least one month, and the positive energy you will receive from this will bring you great prosperity with regards to all areas of your marriage. In Hinduism, some Mantras, such as this one, are most effective if chanted at a certain time of the day. It is better to chant the mantras after bathing, or after sprinkling some Gangaajal on one’s self. You can also apply a red mang-tilak after you have completed your daily religious rituals. Benefit 4: The Devi Katyayani Mantra for early marriage can nourish your post-marital life, and will invite overall prosperity and financial success in whatever work you do. This Mantra can be chanted on Tuesday and Saturday just before the sunset, or as the dusk gradually settles upon your country to obtain “Chitta-Shuddhi” or “purification of the soul”. 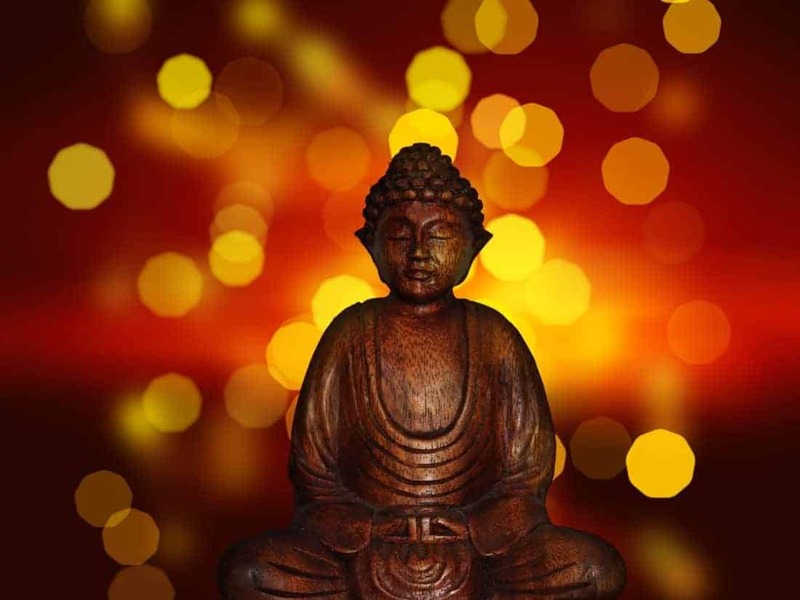 Other techniques can also be used alongside Mantras so bring you happiness and fulfillment within your marriage. One simple task is to tie a red band on your wrist and chant “namoha hrudayam vivaham lakshanam” around twenty times. This Mantra is dedicated to your loved one, encouraging your loved one to never leave you, and helping you to achieve a state of refined and serene marital fulfillment. The great thing about these “early marriage Mantras” is that they are not very difficult but they must not be spoken during any pakshas or tithis. You must remember that nothing heals better than time, so the effectiveness of marriage mantras can only be appreciated, if you have patience and they work better when you pre-meditate on what are your marital priorities. In your marriage, it is important that you use your own passion and love for your partner to add more value to your marital life. 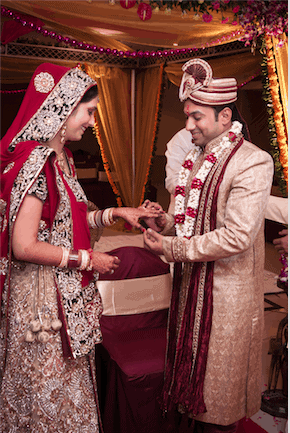 Those girls whose parents find it difficult to get them married, or those husband and wives who have completely lost all pure connection about love, can do the Manglik Khandaan mantra to achieve the desired benefits about marriage. As is said in the Hindu shastras, the guru graham or Jupiter gives everything to a man. With this in mind, if you want marital happiness and security you can also practice the navagraha Mantra everyday while you look directly at the Sun to energize and purify your marital life. According to the famous shlokas of Purushashukta, if you are too desperate to find a partner, your marriage will never get consummated. However, if you try to find a partner with pure intentions, and prepared to approach your relationship with love and commitment, then the mangalik dosh and any future marital impediments will always get resolved. Try this mantra: ‘ohm vrahari preswari swaha’. Ultimately, you want to try to chant this mantra around ten thousand times till navaratri, this will ensure that all negative energy or durmuhurtams are banished. Benefit 9: Early Marriage Mantras Can Also Create Wholesome Energy That Will Help Girls To Conceive Early, And Help Them To Have A Medically Safe Pregnancy. Chant “Devi Bhagavati Maa Faleshu Hrudayam Nishthanam Preritam Swaha” for about ten times each day. Also, offer some white fruit, ghee and make a red and yellow tika on your forehead. Red and yellow colors signify marital prosperity and fertility so you will help increase the effectiveness of your chanting. Early marriage Mantras are extremely beneficial for both men and women, and if you chant them with the purity of heart and soul, you shall definitely be among the blessed couples on the earth. For more general instructions, you can also visit your local temple, and offer bi-weekly prayers to Devi Durga to remove all hurdles regarding your marriage. It is our deepest hope that this information will help people with any troubles they may be having with their marriage, or during their pre/post marital lives. Please leave a comment or feel free to ask us anything if you have any questions. You can find us on our Facebook Page (Ideal Mantra) or you can email us ([email protected]).